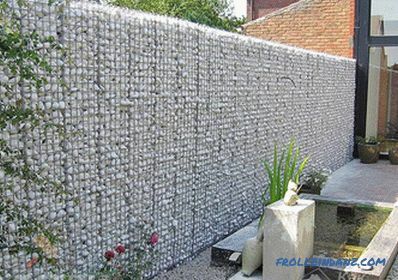 Recently, when creating a landscape design for the construction of walls of houses, fences and other purposes, gabions are installed, which are a metal frame in the form of a grid filled with stones. This peculiar design has many advantages. 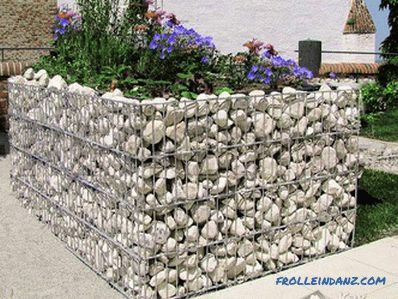 How to make a gabion with your own hands, will be discussed further. Gabions can have different geometric shapes . 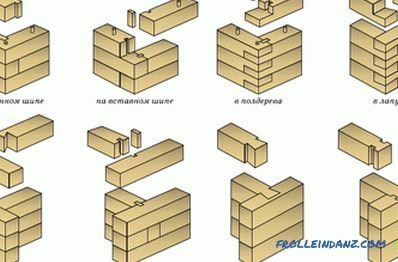 Conventionally, they can be divided into three types: box-shaped, flat and cylindrical. 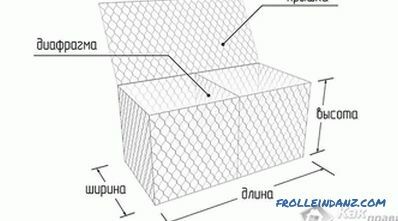 A metal structure is used for the construction of a box gabion, the length of which can reach 6 m, width - 2 m, and height - 1 m. Since such constructions are varied in size, in addition to them, dividing partitions are provided. Elements of this design can be welded or fabricated by the net method. In this case, the holes may be rectangular or hexagonal. In some designs, the rods are welded at a right angle at the points of intersection. With this method of connection, cells of a rectangular shape are obtained, and the edges of the structure are held together by a wire helix. 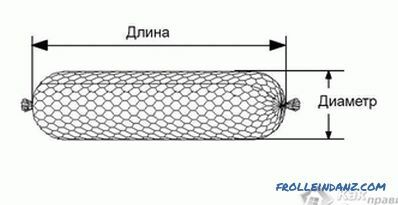 Mesh containers are made of a grid with a twisted wire attached to it, thus producing cells of a hexagonal type. 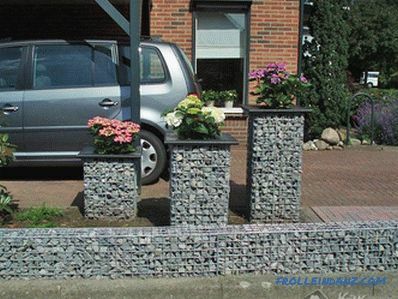 Flat gabions are small in height - from 17 to 30 cm. They are laid on uneven surfaces, repeating its every bend. 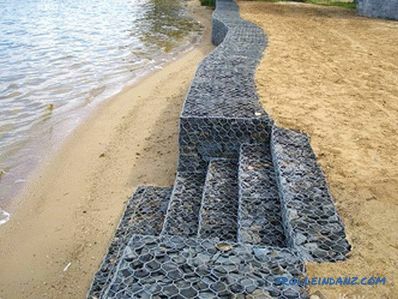 With the help of gabions strengthen the slopes of ravines and shores. 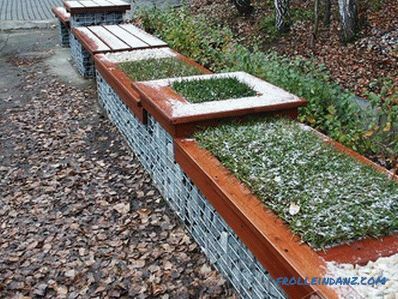 Flat designs can also be placed under box gabions. Cylindrical gabions can be bent in any direction, so they are used as foundations under water. 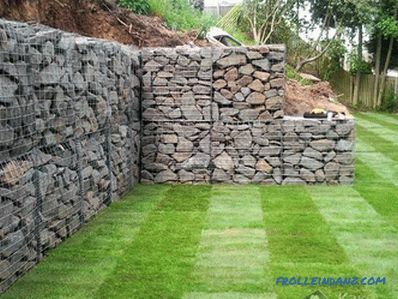 Before installing the gabions you need to take care of acquiring a grid and stones of a certain type and size, and then proceed to the installation of the structure. In order for the gabion to be stable, special attention must be paid to surface preparation. 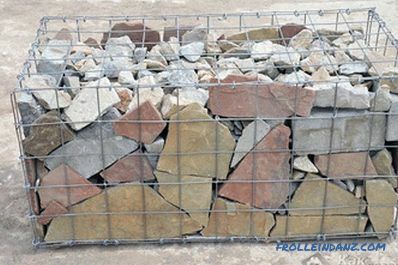 For installation of the gabion itself, a small scrap, pliers, wire and a special stapler will be needed. The walls of the grid boxes and the covers of box-shaped gabions, whose elements are joined by welding, are fastened with special spirals. In the variant with mesh boxes, fixation occurs due to bending and twisting the structure with wire for strapping. With the help of a wire or a spiral also separate parts of gabions are connected into a single whole. 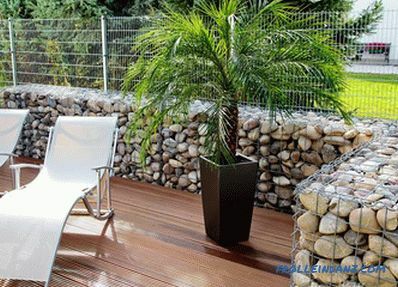 Gabions, which are 1.5 m or more in height , set on artificially created grounds. 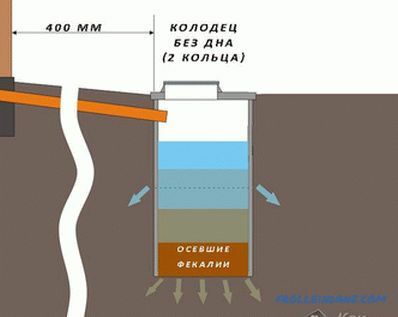 The base is first poured, and then compacted, while its height should not be less than 0.25 m. In order to keep the grid filled with stone constantly in a static position and firmly hold on the base, vertical metal rods are punched into the ground and pierce the gabion structure its founding. 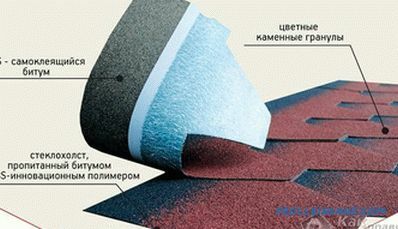 With this technology, the surface will look more even and attractive. If the mesh containers exceed 0.5 m in height, the device of gabions occurs in 3 runs. 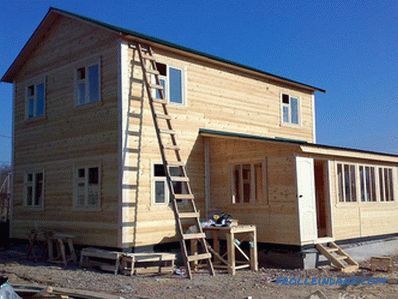 First, a third of the structure is laid in height with a stone, after which the opposite walls are fastened with special inserts, which are specially designed for welded containers, or are tightened with a wire by ordinary binding. Then another third of the stones fit into the mesh design, after which they already reach 2/3 of the height of the gabion. In conclusion, it remains to fill the last third of the stones, fill the entire structure, and then close and lock the cover. When using flat gabions in landscape design, their installation can be carried out without breaking the work into stages. If, nevertheless, the gabion will be filled with stones in layers, then it must be borne in mind that the stones will shrink by about five centimeters. 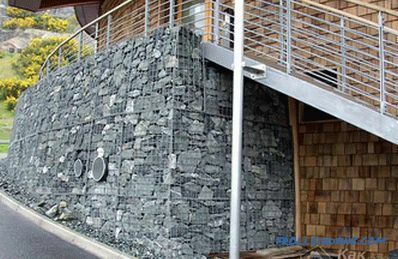 With a relatively high height of gabions, their parts overlap each other, while the grid covering the lower layer is the bottom of the next bulk part. As already noted, the fastening of the structure is carried out by locking spirals or steel wire. Large and visually beautiful stones should be placed along the outer contours of the structure. Smaller and unpresentable fragments are poured into the middle part of the gabion. The design of the gabion must be stable and robust. 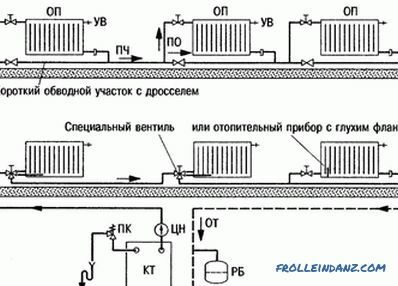 To do this, its elements need to be connected with internal metal struts with a gap of 0.5 m between them. The ends of the rods need to be fixed so that the structure does not collapse. The work on the installation of the gabion is completed by attaching the cover to the structure with the help of steel twisted wire twice. On the photos below you can see how the mounted gabions look in all their glory.